Preparing for IIT JEE comes with a number of pre-requisites including, proper planning, total commitment to the cause, following a strict schedule and minimizing the impact of distractions, to name a few. Another prerequisite that gained an upward push in terms of JEE preparation in the 90s was the coaching classes. For a better part of the last 20 years, students flocked to join different coaching classes in their hometowns, many of them even moving to other cities to join the centers. However, in recent times, the trend seems to be shifting towards the traditional method of preparation, self study. As more and more students begin to see the numerous advantages of preparing for JEE through self-study as compared to joining coaching classes, we bring to you a high quality study package. 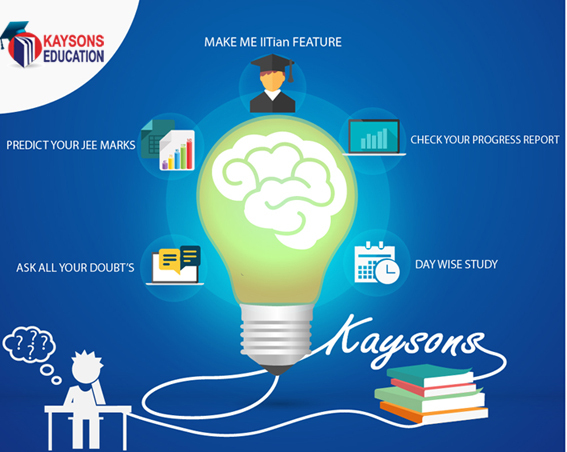 Kaysons Education takes a well-rounded approach to ensure that your choice of self-study as a mode of preparation for JEE gives you the desired results. Proper guidance goes a long way in ensuring that you get the right level of preparation for one of the toughest exams in the country. The Kaysons video lectures for IIT JEE help you prepare efficiently and effectively for the exam. Each of these lectures is conducted by experienced IIT faculty, making sure that each topic is covered in great detail. All the topics in the JEE course are covered in four levels, namely conceptual level, school level, advanced level and ranker’s level. As the names suggest, the difficulty level increases with the levels, helping you get a firm grasp on all topics. The whole course for JEE is divided into 440 lectures of 20 to 40 minutes duration. The Kaysons study material for IIT JEE comprises of quality books and notes for each subject. All the topics are covered in detail in these books. Written by former IITians and highly experienced teachers, these books can help you understand every topic with relative ease. A good question bank is always important when it comes to preparing for the JEE. The Kaysons question bank for IIT JEE helps you practice a variety of questions for each topic in the syllabus. 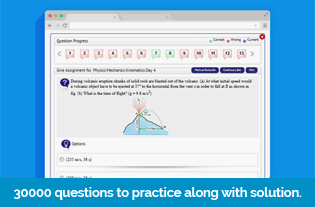 With 4 different types of questions included in the question bank, students can get great practice for the exam. The question bank comprises of more than 60,000 questions. 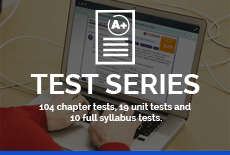 You can also get a progress report for the chapters for which you practice the questions and the marks predictor provides a fair idea about the marks you can expect to score based on your progress. 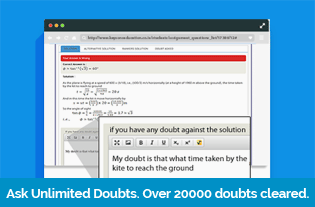 You get the opportunity to view the doubts asked by other students, helping you prepare better. You can also ask your own doubts and our faculty will be happy to help you with them. When preparing for any exam, testing yourself is of utmost importance. The Kaysons Test Series for JEE allows you to test yourself against thousands of JEE candidates from all over the country, giving you a clear picture about where you stand in terms of the competition. Features like rank prediction, performance analysis chapter wise grading and time management help you prepare better for the JEE. How do IITians Plan their Schedule for Study ?